Location is A 10+ on Hole #1. Panoramic Mountain Views are the spectacular backdrop to mountain and golf course views - set back on the first fairway! Your own personal oasis, rental income opportunity, OR both! Remodeled & ready to move into today - even the ceiling was raised! 3 Br., Open great room plan allows views to pour inside, for a seamless flow of indoor/outdoor living to enjoy the ultimate desert resort lifestyle experience! New kitchen, appliances, quartz counters, solar tubes, new energy efficient windows and sliders, gas fireplace, indoor laundry & attached 2 car garage. 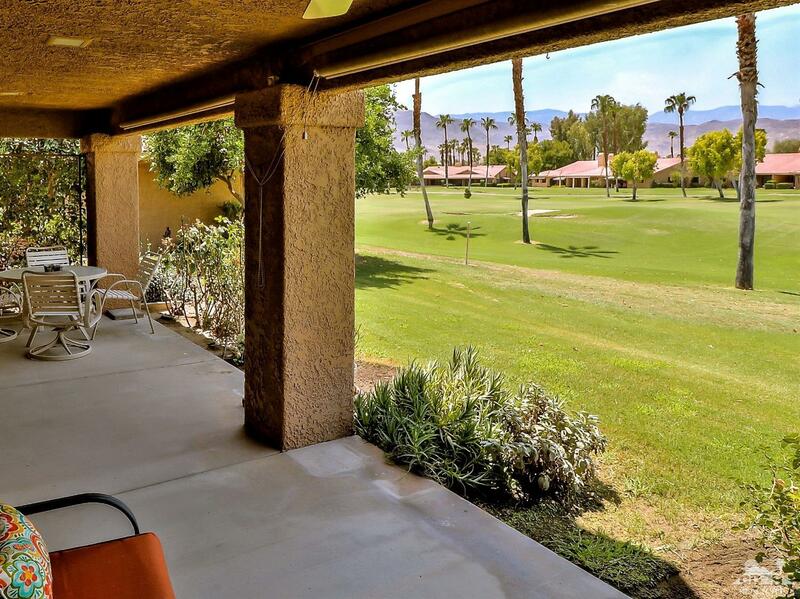 Chaparral Country Club; a private club yet offers the rare option of pay to play golf to homeowners, plus 21 pools/spas, tennis, pickle ball, new clubhouse w/restaurant/bar, social fun & fitness center all included! Central Palm Desert close to everything. Fine dining and famed El Paseo Dr. minutes away. Perfect full time playground or winter retreat. Time is your ultimate luxury, spend it well here!